The newest Marvel Select figure has been revealed. 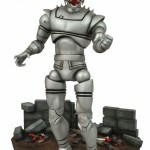 Art Asylum has a photo and some info on the upcoming Marvel Select Ultron. 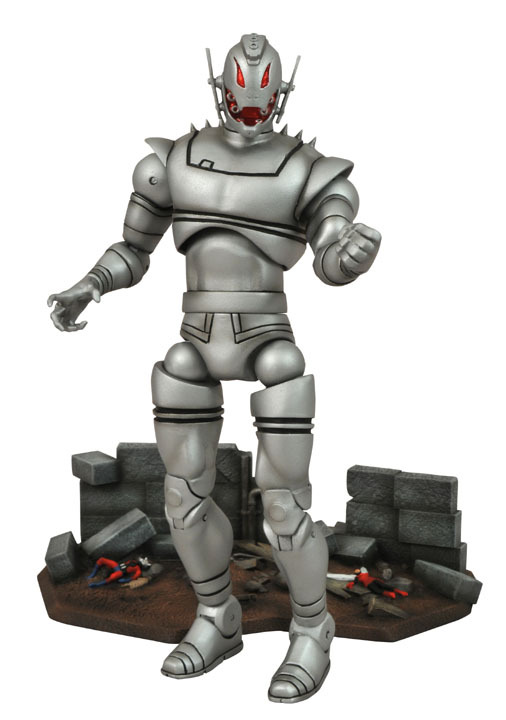 It’s a fact that one of Diamond Select’s good friends over at Gentle Giant has been dying to design an Ultron action figure for us for close to two years now (at least, that’s how long he’s been telling me about it). Since the character has always been an awesome-looking villain, I’ve been willing to add it to the line, but we never found the right place for it in our schedule. Well, with everyone talking about the Avengers’ big movie, we gave Gentle Giant the opportunity to bring their comic nemesis to life this August. With Jason Wires behind the paintbrush, we’re sure you’ll be pleased with the outcome… although Ant-Man and the Wasp clearly aren’t. We already have a thread on this terrible terrible figure. I see no threads about this Art Asylum post. If it's not posted in the news forum, it likely won't be seen by me. I'm impulsive with toys though, i'd get it after I get the others though. It was on page 4 of the news section. No sweat though- you guys have been great at showcasing all the new Marvel stuff coming out- and there is a ton of it! why does this happen every time they make six inch Ultron? WHY! This is still a far sight better than the ML version by far. What's that crap in his mouth? Looks like impacted molars or something...really, is it so hard to make a figure without adding a bunch of nonsense extra details to it? This is awful- like a ML fig from 10 years ago. I see what you mean. That was the MTV reveal, this is the Art Asylum PR that they sent out to the blogs and news sites about it's release. Think of it as nothing more than a press release style post. Figure looks like crap! those hip joints are beyond terrible, only reason I'd get this figure was if it was on clearance for like $2 and I bought multiples to burn/destroy for IM to have as a background/base.